So, that is Emmie at the top. 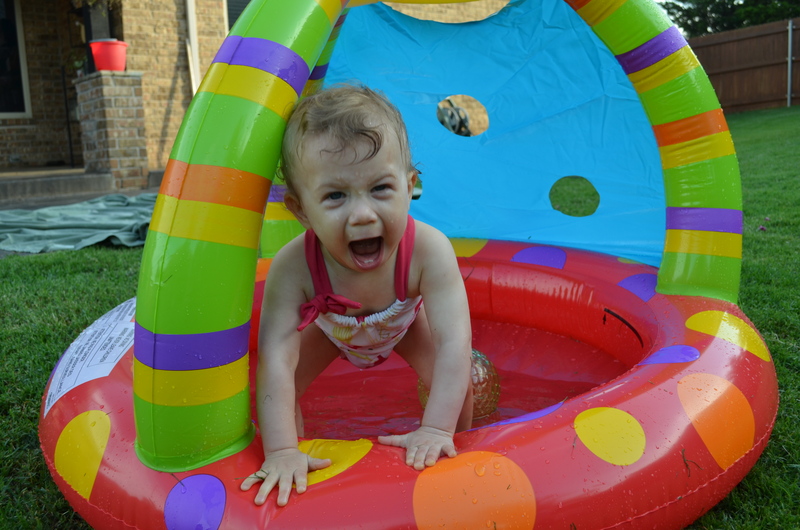 Think she is excited about the water? 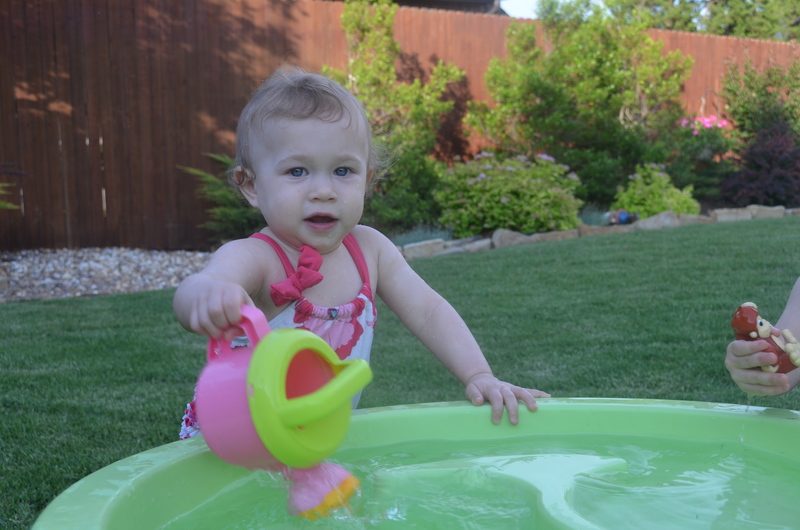 Man, this little one LOVES the water. 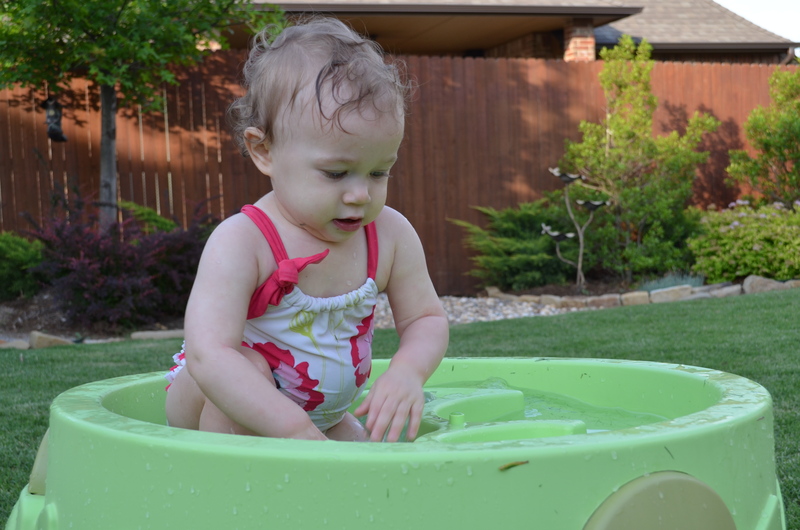 She even loves to drink the water out of the water table, bath tub, swimming pool. Yuck, but she thinks it’s so funny. She even tries to put her face in the water which I can’t believe. Emily is still my little petite thang. All the girls are, but she has come a long way from a two pounder. 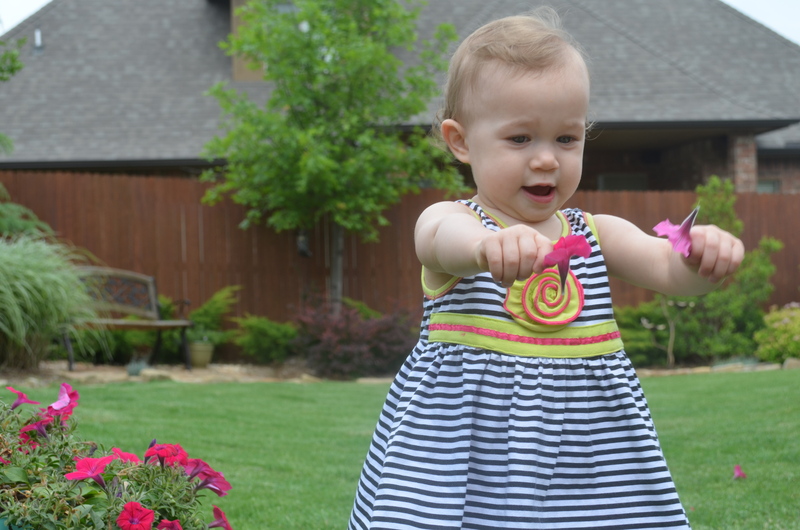 We are celebrating her recent strides in walking. Still taking four or five steps to get the hang of it before she takes off, but she is walking! At her last appointment she was still only 17.5 pounds which is only in the fifth percentile, but she is in 25-50% for height. Doc was not worried at all and said she is “perfectly proportioned.” I like that. We are so proud of Em. Of all the things that could have been, especially with her, she is such a special little soul. I think she may be my engineer. She really look intently at things like books and videos. 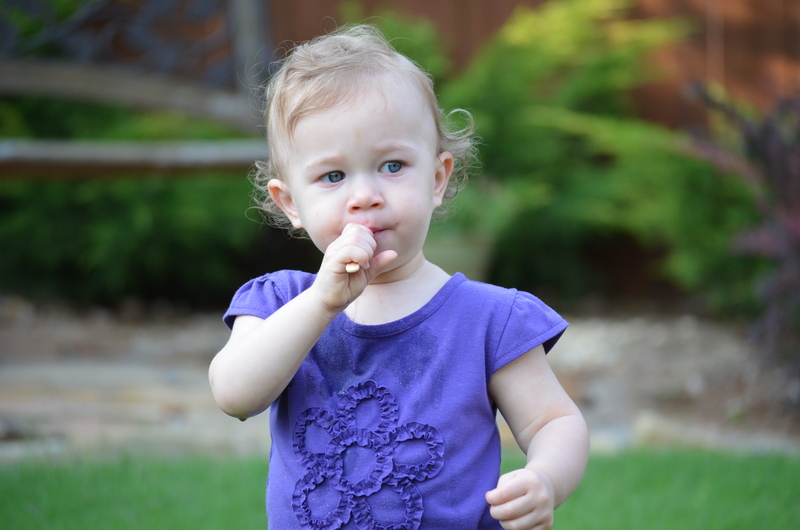 She also uses her hands and fingers very precisely to pick something up, move something, almost as if she thought it out before she reacted. Smart girl. We are having a tough time with sleep with her. 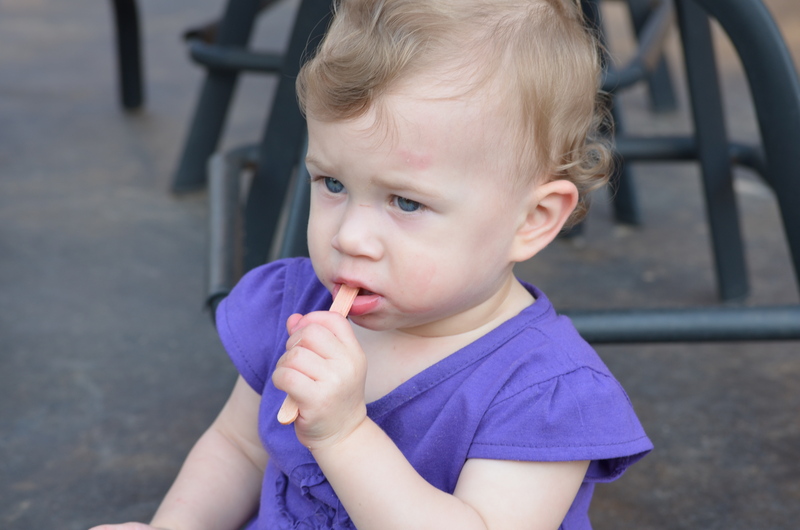 She is getting teeth one at a time, so I can’t imagine how irritable that makes her. I don’t think I could sleep either. Avery, my wild woman, is into literally everything. She can open doors which is a real treat these days. We have to lock ourselves into the playroom so she won’t disappear all of a sudden. Lately, she started a really funny routine. We say, “You ready to take a nap?” And I could not believe my eyes when those little feet marched into her room by her crib. I thought it was a fluke at first, but we have said it more than once and right on cue there she goes…leading the pack and the little ducklings behind her. Precious if I may say. Avery was 20 pounds even and 31.5 inches. 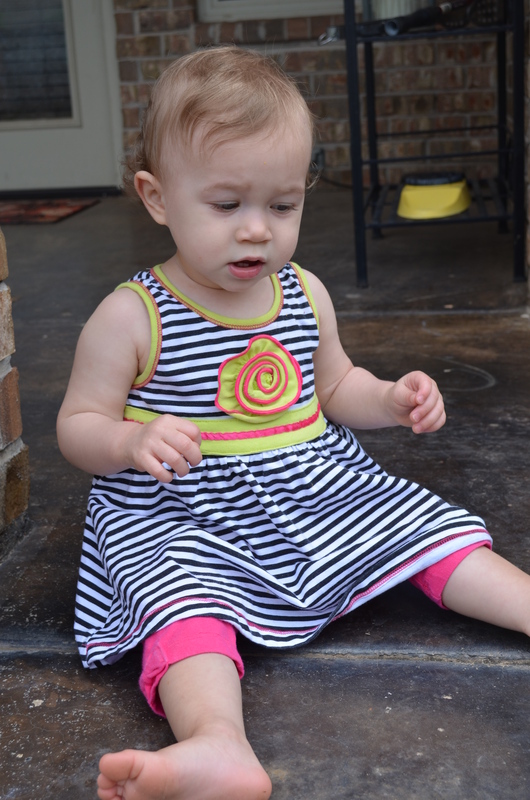 Doc said she is in the 90 percentile for height! I joked saying that I may have a supermodel on my hands. Skinny and tall. Bryan said, “Looks like she gets that from Grant.” Uncle Grant is 6’7! Hopefully she is not that tall. hehe. 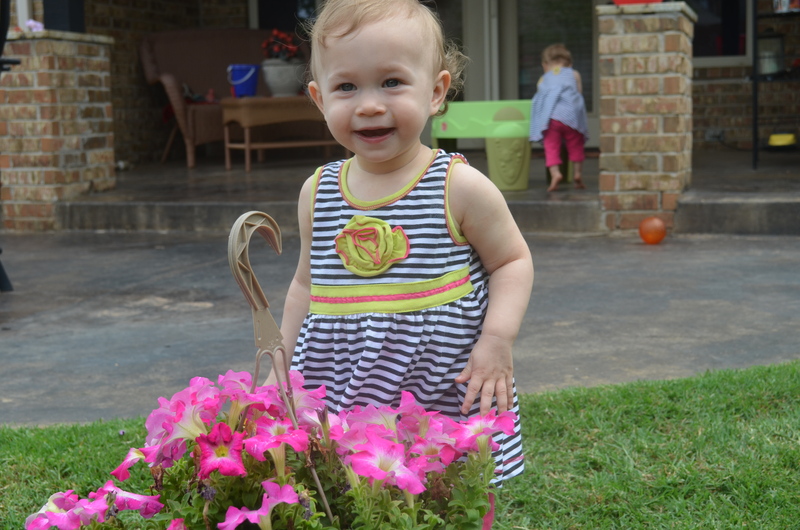 Not to say the other girls don’t have personality, because they do, but Avery has a BIG personality. She wants to make sure someone is watching her do something special and just loves to entertain. She is the first to get upset if I tell her she can’t do something. Her smile has changed so much because she has four top teeth and two bottom teeth now. So cute. All the girls also have this precious curly hair. I love it. 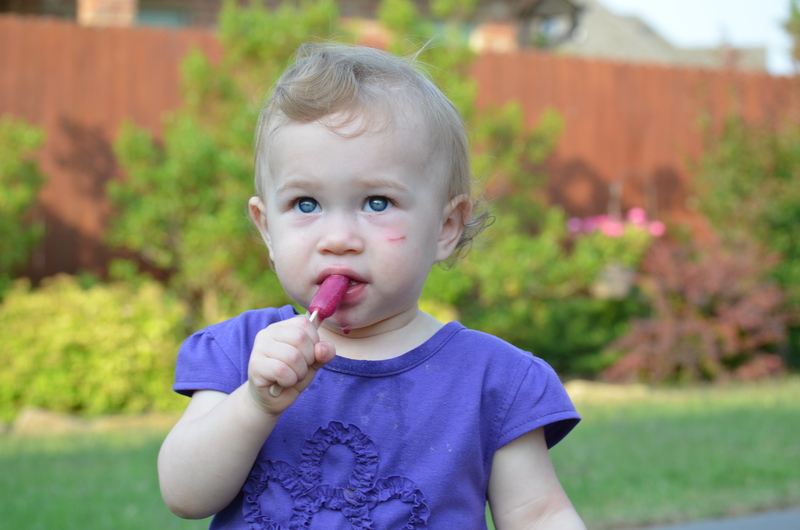 And our sweet Cam Cam…She is defiantly my sensitive one…Still. Still loves to be held and cries more often than the other girls. But, she does have a temper. Doesn’t like to be picked on at all. Will flap her arms and sometimes I catch her slapping a sister, which I have to quickly object to. Recently, she took her first nose dive right into the concrete. She was pretty tough getting up but then I saw her face. Luckily, it healed quickly. Kids are so resilient. Through it all, she is still our best sleeper. She had a little separation anxiety at night a few months ago but is sleeping like a rock star. She is turning into a very picky eater. Reminds me of…Me. She sort of examines her food and dissects it. Gets this cringing look on her face like she just tasted feet or dirt. She is always my first I hear in the morning. She is has a very distinct squeal. She is always happy in the morning too. Cam also has six teeth. Four on top and two on the bottom. Trust me, the crib shows how hard they have been working on those teeth. 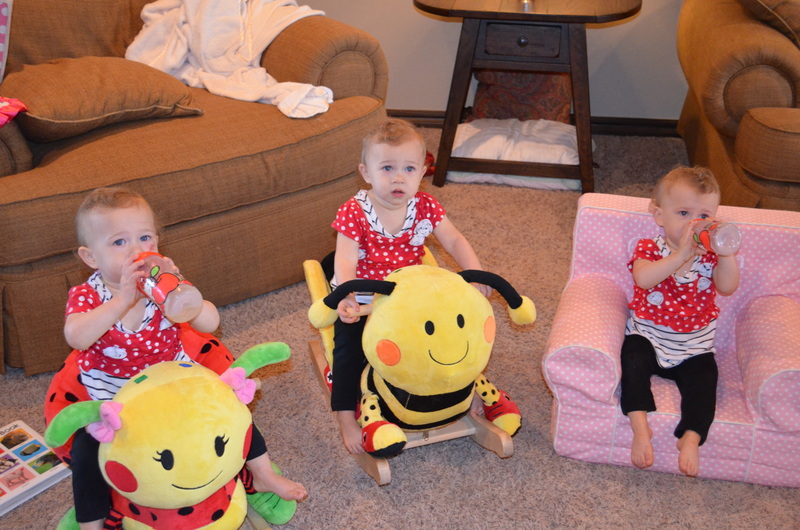 My little chipmunks! She was 19.6 and 29.5 inches at our last appointment. Two other big milestones coming up in June are the fact that I will spend my first nights away from them. Bryan and I are going on a mini vacation for a weekend. I am very much looking forward to it, but even after almost 16 months I know I will miss them so much. I don’t know what to do in my day without my girls. The second which will be even harder is that they are doing a summer Mother’s Day Out program. Everyone says, “You will love the time to yourself,” or “You will be so glad you did this,” OR “They are going to do great.” I think I am most anxious about strangers watching the girls and secondly, rediscovering what “I” like to do with my time. You know, besides go to Target, two walks a day etc.. Some days I wonder if they are too young to go and others I know I have to do this for me also to be a better mom, a better woman. 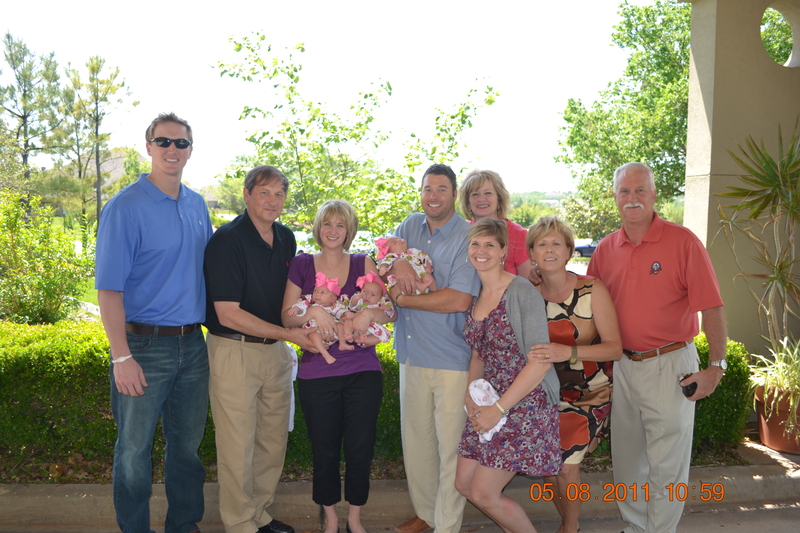 This photo is the very first time I ever held the girls together. It was taken maybe three weeks after they were born. When I left the hospital on February 18, 2011 without our babies I was truly blessed for God to put such peace in my heart to know that it will all be ok. I say that because if I would have known the magnitude of the love I would feel for these girls the way I love them now, that day, I would have been carried out kicking and screaming. It is amazing what God can do in such a short year in our lives. This past year has literally flown by in some ways and in other felt like ten years! 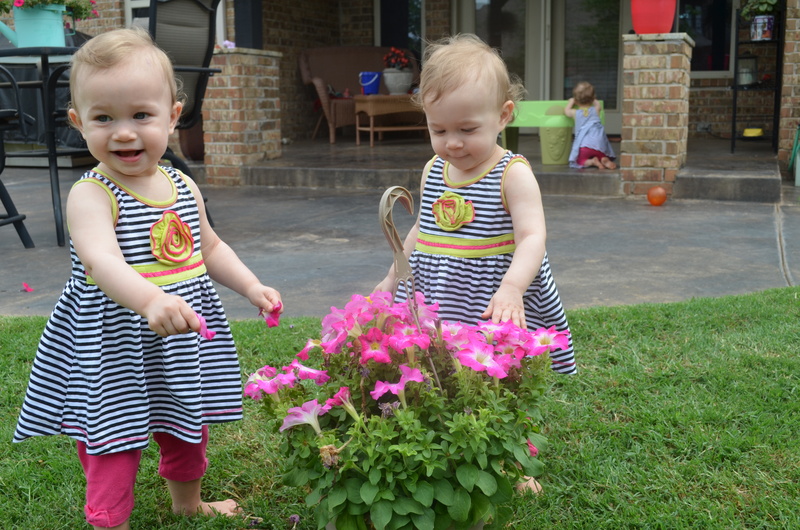 I celebrated my first Mother’s Day last year when the girls were about four months old. It was such a memorable day, but I can honestly say that this Mother’s Day means so much more because of this year that I have had with my girls watching them grow and thrive. I named this A Year in the Life of a new MOM for two reasons; One -because the first year of motherhood is wrapped in so many emotions and two – because MOM is not just Mom, but Mother of Multiples! I always knew that motherhood would bring emotions that I could not describe until I was one. My mother always said that coined phrase like all moms across the world, “Don’t judge until you are a mother, OR what until you are a mom and then we will see….” Fill in the blank. You spend the whole first year navigating through sleepless nights, learning cries, nursing your babies (physically) and when they are sick. 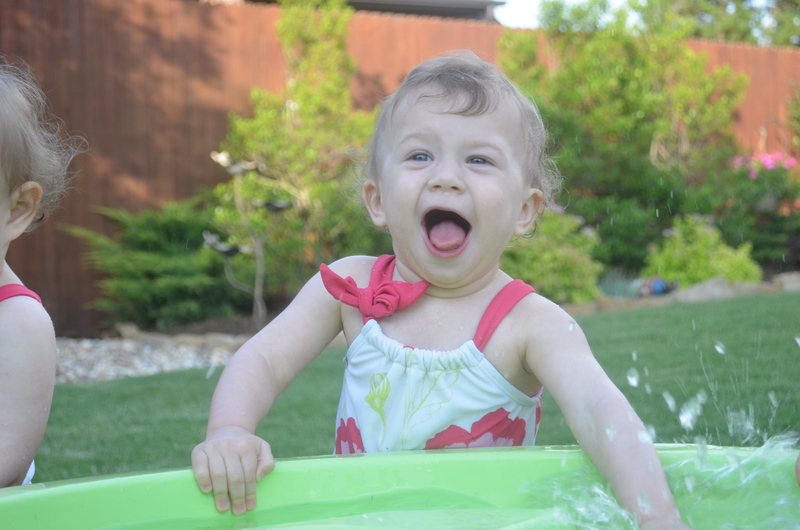 You walk on eggshells through all their firsts – first time they roll over, stand up, crawl, walk, say their first words. You lay in bed at night wide awake because every sound on the monitor makes you not ready to fall asleep. You cry when they don’t feel good. You try and be strong when they get shots at the doctor. You clap with them when they are so proud of themselves for doing something grand. 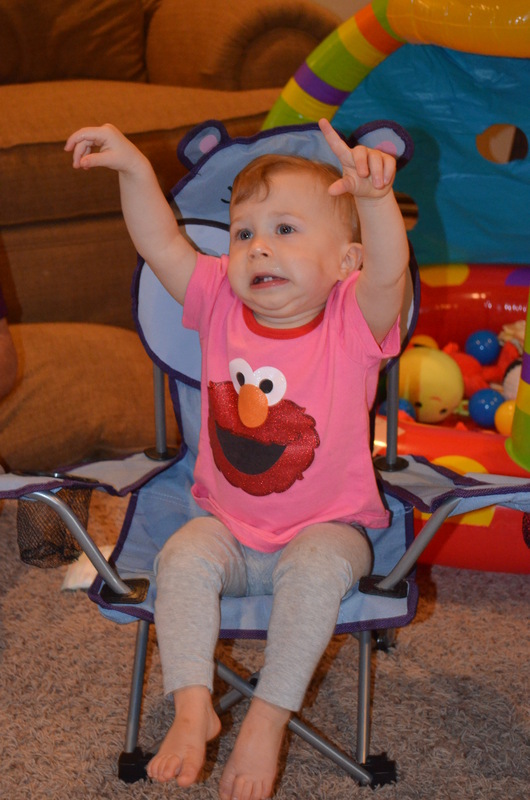 You sing Elmo a thousand times because it makes them happy. You drive in the car in the middle of the night so they will fall asleep. You cry when you breastfeed because its exhausting. Then you cry when you stop breastfeeding because you feel guilty. You do 8 million loads of laundry, try and cook for your husband, try and remember to say “Good Morning” and “Good Night” to your husband 🙂 Ladies, you all have been there. All of these acts are so incredibly selfless. But, when things get really hard and you are just about to crack, a smile, a laugh, a diaper on their head they think is hilarious, a hug, a kiss..it all changes everything. I feel very thankful to get to stay at home with my girls. It was very much a game changer for our family and something we knew was best for our situation. I still grieve a professional life sometimes, but then I see how incredibly hard my girlfriends work to balance all of it and I have no idea how they do it all. My hats off to both working moms and stay-at-home moms everywhere. I am not the typical stay-at-home mom. I am not lunching with my girlfriends, shopping, going on playdate to Gymboree with my little one…We are not meeting Daddy for lunch and all those things I imagine I might do with one. I attempt to shop by myself once every few months. Play dates consists of lots of walks and with other kids that may have padded and large play rooms. We do go see Daddy occassionally, but we don’t get out of the car and it is usually one of those days that I need a coffee break or Coke break to go through the drive through. 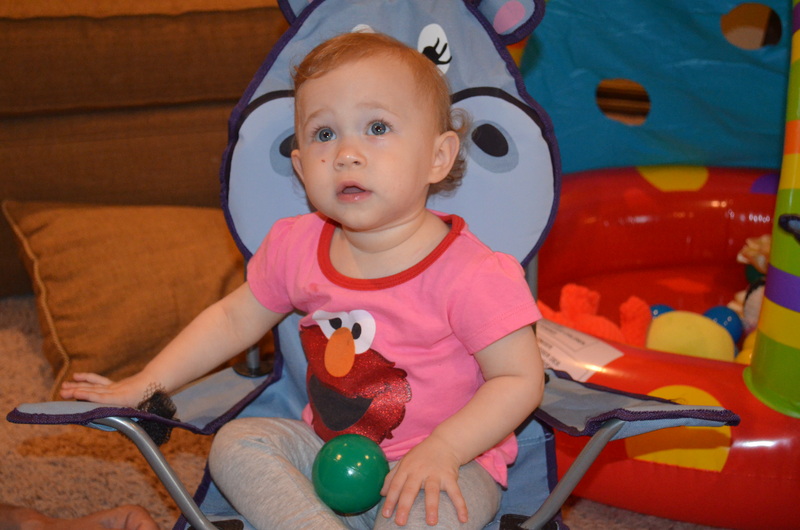 We go to Target…ALOT and visit our safe locations with our huge stroller. We do basically anything we can do to feel normal. Another thing that I have learned is that mothering is an ever changing cycle in life. It continues generationally. I have witnessed this first hand in grandmothering. There is a reason they call it GRANDmothering. I have a big hats off to my own mother, Diane, and my mother-in-law Debbie. 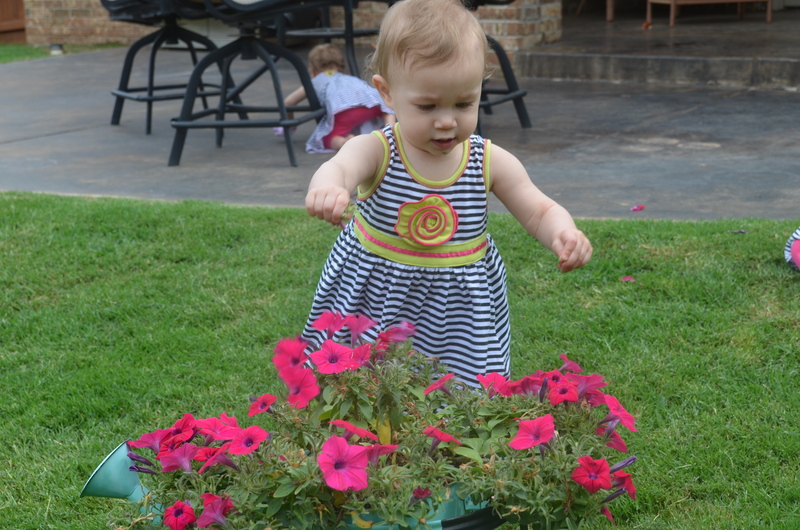 It is one thing to become a first time grandmother to a new baby, but to have three has to be an undertaking especially as much as they have been providers in our lives. It has to be surreal to watch your own children raise children or see your babies in your grandbabies. Although as a new mom, I can admit I can been controlling and maybe make a mountain out of a mole hill at times, I know that in time I will be where they are watching my girls mother. That sounds so daunting to me right now, but I do hope that I draw on this experience with such love and admiration for their Mimi and Nana that I will know what to do for my children and grandchildren someday. I end this post by not only telling all first time moms out there, “YOU SURVIVED,” but, what a beautiful year to look back on with such pride and accomplishment for rising up to the task and honoring God with the perfect gift or gifts He has entrusted to you. I don’t think we will EVER have another “first” year, but I think I have enough memories to fill my heart up for years to come. And even for the women out there who are not mothers yet or don’t choose motherhood, you are all mothering in your own way whether you know it or not. God made us to nuture over nature and love one another. It is already in our DNA. Thank you to all my family and friends for such encouragement this past year. I know that verbal rewards are somethings moms don’t hear too often, but I feel pretty lucky that I have such amazing kin to lift me up and always provide positive words. And to my husband, I LOVE being the mother of YOUR daughters. There is nothing more honorable I feel I can do in our marriage at this time in our lives than do the best I can do to be a good mother. Even on the days of tantrums, the girls stealing each other’s toys and pacifiers, no sleep, and them just wearing me dog tired…It is still the best day I could ask for. Oh, and maybe a day to sleep in would be nice too! Haha. Everyday is a fun day with these three! 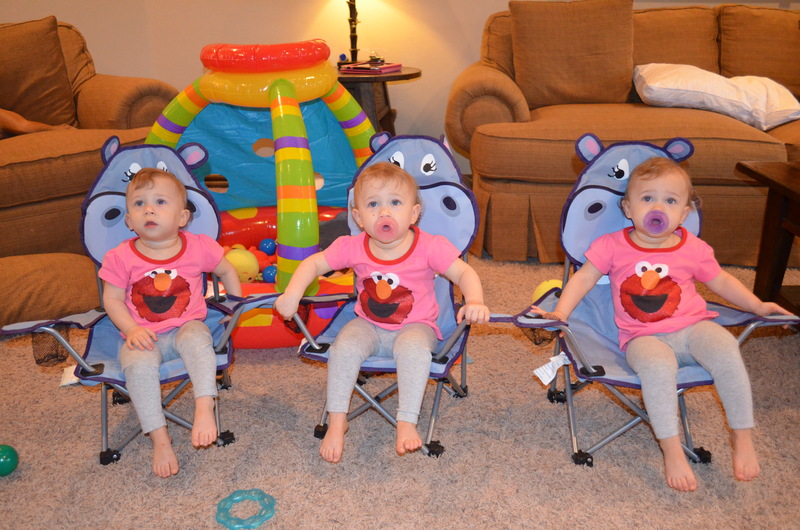 Here are a few recent pics to share for our Friday 🙂 Above is all the girls (Almost 15 months) in their hippo chairs watching Elmo in their Elmo t-shirts. 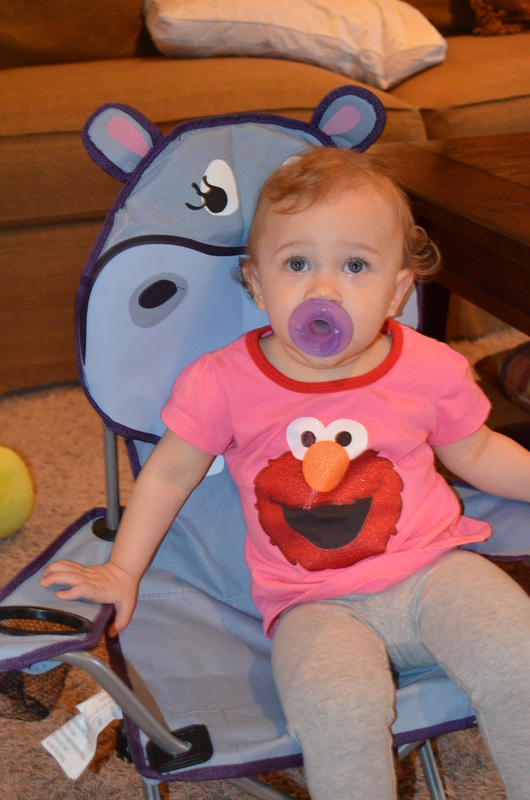 Em likes Elmo the best! Can you tell? 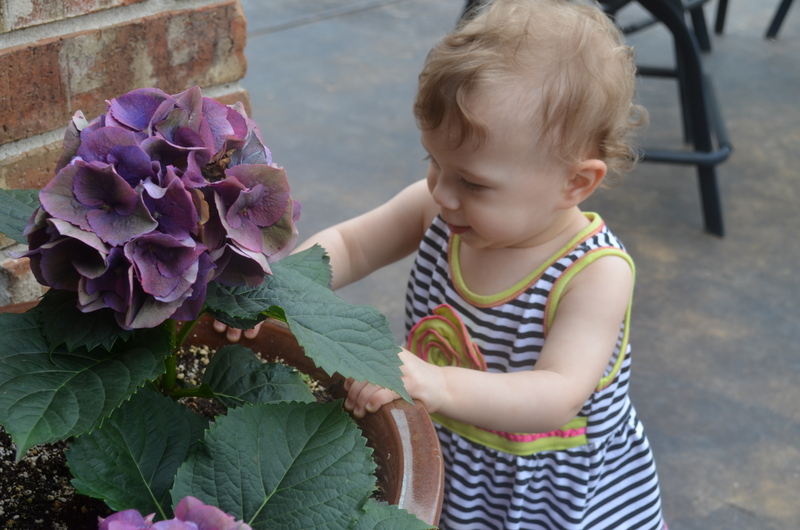 A few snapshots I took today outside while they looked cute…Interesting chasing three in the backyard, but like most kiddos they love it outside. Avery up to no good! Emily right before you grabbed a handful of that dirt and put it in her mouth. Yuck!